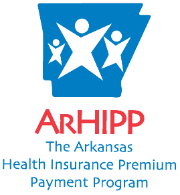 How can I help avoid payment interruptions and remain eligible for Arkansas HIPP? Keep your Medicaid dependent(s) enrolled in the policy that is on file. Avoid any unnecessary changes that may change the cost-effectiveness of your application on file. Provide proof of premium payment when it is requested. How will I find out if I am no longer eligible for the HIPP program? If you become ineligible at any time, your monthly payments will stop and you will receive a letter in the mail with the reason for this determination. Losing HIPP eligibility does not affect your Medicaid eligibility.